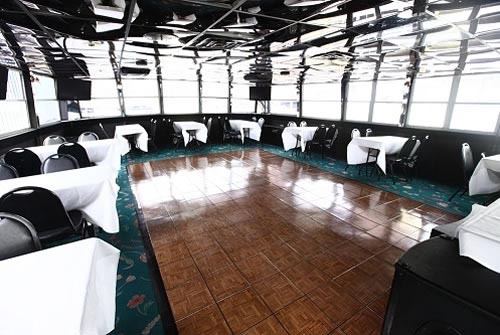 Cruise into the New Year in style onboard Lucille, the NYE party boat that’s delivering sizzling revelry with the stunning New York City skyline as backdrop. 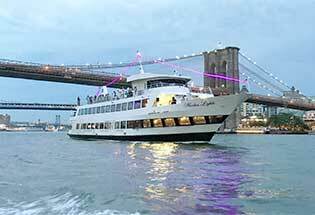 With overflowing party luxuries, a beautiful NYC party crowd, and a dazzling panorama of NYC’s spectacular skyline along the East River, Lucille’s New Year’s Eve party cruise is the lavish celebration that will make this NYE truly magical. 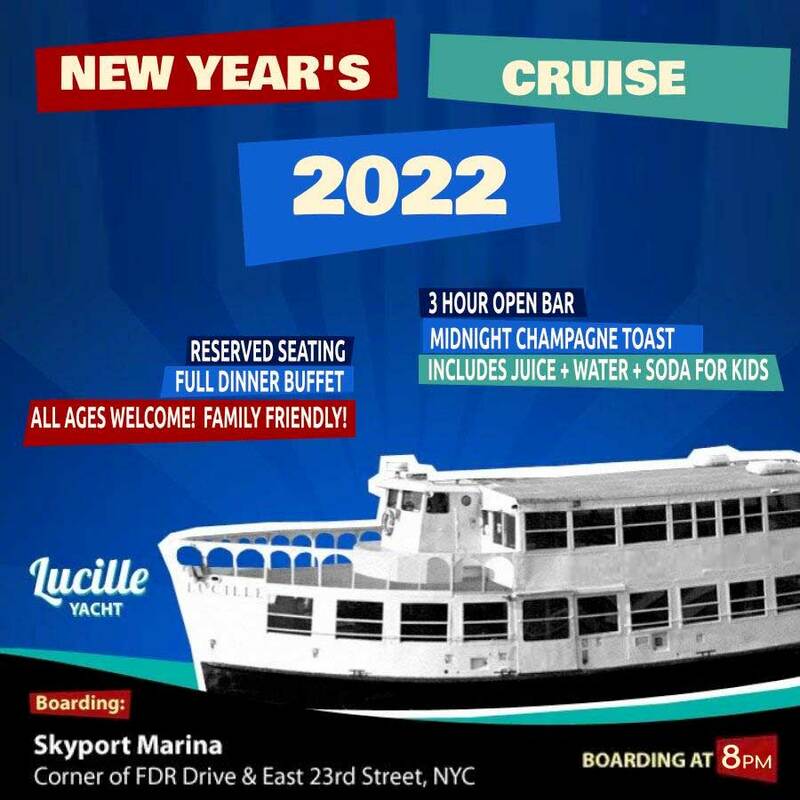 Hop onboard the party cruise boat, Lucille, and usher in the New Year with a splendid voyage filled with megawatt fun and the most magnificent view New York City can offer. Indulge in Lucille’s 3.5 hour open bar as NYC’s bright lights dazzle your senses. Complimentary early evening light fare and festive NYE party favors will satisfy any remaining party-appetite so you’ll be ready to get party all night. And getting wild will be all too easy with a live DJ spinning pulse-racing beats of Top 40, Hip Hop, House and Mash Ups, enticing Lucille’s electrifying guests to the expansive dance floor. When the night’s festivities reach a climax at midnight, grab a complimentary champagne toast and join the crowd in a spine-tingling live count down; with the moment backlit by the exquisite night skyline and the breathtaking NYC NYE fireworks show, this will be a truly sublime start to the New Year. To complete the sumptuous NYE celebration, opt for Lucille’s VIP option and enjoy special amenities of reserved seating and more. 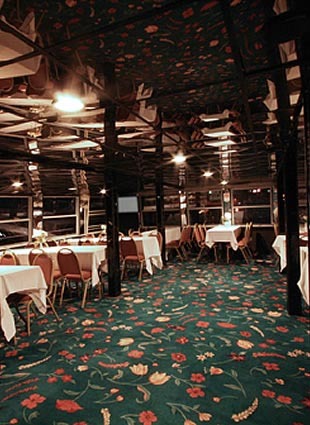 A staple in Manhattan’s party cruise circuit, Lucille is an 80 feet long vessel boasting two expansive indoor decks with outdoor access and all-around large windows to let in the stunning New York City view. 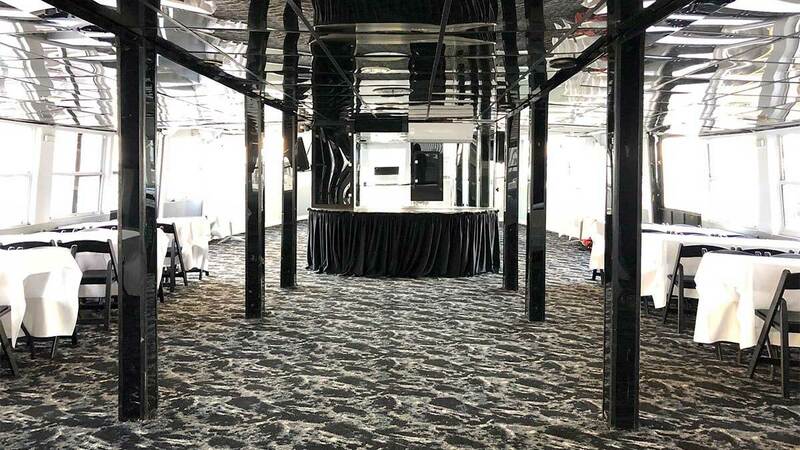 The revelry won’t stop flowing onboard this lavish party cruise with fully stocked bars on each level, an oversized dance floor and an intimate yet electrifying ambiance. 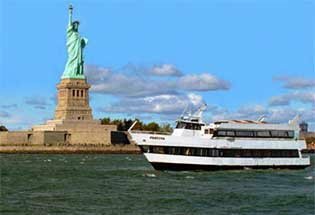 Offering an unmatched view of the nighttime cityscape, front-row seats to the awe-inspiring NYE fireworks show and sailing past New York’s most iconic landmarks – including the Statue of Liberty and the famous bridges – Lucille is New York’s most photogenic and dazzling passage to a sensational New Year’s Eve. 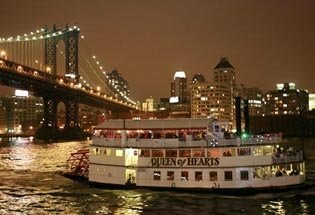 This New Year’s Eve, sail away to the New Year in extra-ordinary fashion and let yourself be dazzled by the glittering NYC skyline with the enchanting NYE celebration aboard Lucille.